Specialists in properties for sale in Spain, bargains and distressed sales in the Costa del Sol. The UK’s decision to leave the European Union raises some important questions. Here’s how it will affect British buyers in Spain. Can I still buy a property in Spain? Yes. Britain is still a member of the EU and British citizens enjoy the same rights today that they did last week. It is likely to take at least two years to leave the EU, and many more years to settle the resulting changes in trade agreements. British buyers are unlikely to feel the impact for some years. What does a fall in Sterling mean? A weakened Pound is the most immediate effect of Britain’s referendum. In effect, Spanish property has just become more expensive for UK buyers. The exchange rate is expected to be volatile over the coming months, but buyers can take steps to insulate themselves from currency risk. It is also worth setting this in a wider context: While Spanish house prices have been steadily recovering over the past 2 years, they remain 32% cheaper than their peak in 2007. Spanish property remains excellent value. What will happen to my property when the UK leaves? Spain has a long history of welcoming buyers from overseas, who now account for 1 in 5 house sales. 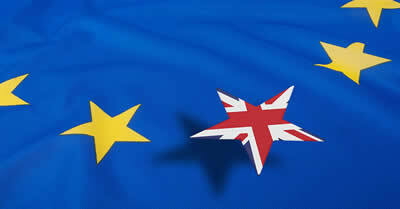 Non-EU buyers are extremely active in the market and enjoy very similar rights to EU nationals. Leaving the EU/EEA is highly unlikely to impact the rights of British citizens to buy property in Spain. Overseas investment is too important to the economy. Will I still get a mortgage? Yes. Spanish banks typically ask foreign buyers for a deposit of up to 40%. While there is scope for this to rise, it is already at a level that provides banks considerable protection and is unlikely to see much adjustment. Meanwhile, the economic climate in Europe is wedded to low interest rates. Borrowing costs remain good value. Will the Spanish property market crash? British buyers are important to the Spanish market and they are the largest single nationality among overseas investors. However to put this in context, Brits form 4% of the market. There are two reasons Brexit is highly unlikely to trigger a crash. Firstly, foreign buyers are a diverse group: German, French, Belgian, Italian and Swedish (among many others) are all an extremely active, growing part of the market. There may be some localised pain, but even a complete collapse in UK demand (again, totally unlikely) would only put a small dent in the market. Secondly, the market has nowhere to go. Spanish property has been recovering steadily since 2014, but remains a very long way off its peak. The worst we expect from Brexit is restrained growth. Is my EHIC card still valid? Yes. The European Health Insurance Card provides reciprocal health cover for travellers in the EEA. It will remain in place for at least two years while Brexit negotiations are in motion. European countries are keen to ensure that their citizens enjoy healthcare while travelling, so it’s entirely possible an EHIC agreement (or something similar) will remain in place even after Brexit. Will I get full healthcare if I move to Spain? For now, yes. As long as Britain remains in the European Union, reciprocal healthcare arrangements continue as before. However the current agreement is tilted heavily against Spain; they export young, fit people with minimal needs, while taking in older people with higher healthcare requirements. The Spanish government will seek to redress this balance. After two years, Spain will most likely require British expats to take out health insurance. Under single market rules, UK citizens living in Spain (and indeed the whole EEA) have their pensions and social security payments automatically uprated each year in line with local inflation. This system is a mutual EU arrangement and is likely to become a negotiating point in Brexit talks. In the worst case, British pensioners in Spain could get similar treatment to those in Canada and lose their automatic right to pension increases. British citizens (and indeed all EEA residents) currently get very good tax treatment in Spain, paying the same inheritance tax as locals. Crucially, the double-taxation treaties that enable these are NOT made in the EU. Therefore Brexit has no effect on the existing tax agreements between the UK and Spain. In short, nothing for quite some time. Exchange rate fluctuations will be the only visible effect of Brexit in the short term. It is also important to note that this referendum is non-binding, and British politicians will now enter a protracted period of horse trading over what to do next – or even who’s in charge. With Brexit leaders already dialling back their rhetoric and promises, it is not a foregone conclusion that Britain will completely leave. Huge debating points now remain over whether Brexit means a total withdrawal from the single market (EEA). Time will tell, and it all serves to slow the process. The net effect is Britons will continue to enjoy the benefits of European citizenship for some years, and can expect a broadly similar deal once Brexit is complete. The British love affair with Spain continues. Property Overseas Group is a small team specialising in Property Sales in Spain, with a great selection of cheap Spanish property and distressed sales in the Costa del Sol.